Welcome to Everblue - the leading resource for professionals looking for solar energy training courses and certification. We will introduce you to important solar energy terms and the requirements for becoming a certified solar panel installer. Our accredited training, experienced faculty, and top-of-the-line equipment will prepare you for a successful career in renewable energy. Choose from the course options below to learn more! Keep scrolling for a brief overview of each course. This entry-level solar training course introduces key terms, system components, safety & electricity basics, system sizing principles, performance & output metrics, maintenance, and troubleshooting strategies. This course is designed to teach individuals how to install solar panels and the balance of components, including inverters, charge controllers, and battery banks for grid-tied and off-grid systems. 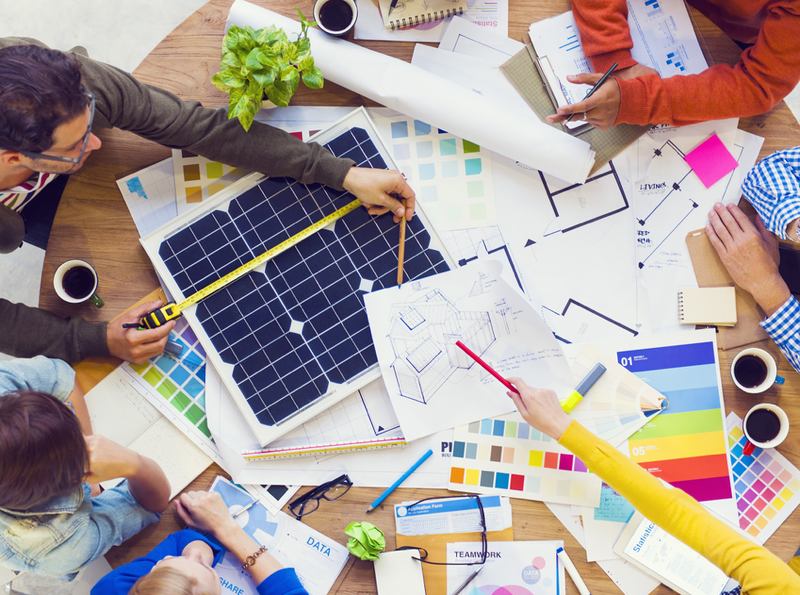 This training takes a deeper dive into the factors that influence solar system design, such as the project site, energy savings goal, and project budget. This specialized program focuses on sales-related skill sets in the solar industry, such as understanding client needs, providing customized solutions, capitalizing on state incentive programs, and recognizing opportunities for solar growth. The most respected solar certification program comes from the North American Board of Certified Energy Practitioners, or simply NABCEP for short. NABCEP currently offers 9 total certifications and 2 entry-level "Associate" credentials. Each designation is expertly crafted and designed to align with a career skill set, such as the NABCEP PV Installation Professional Certification, which demonstrates proficiency in solar panel installation. Our NABCEP-approved, IREC-accredited curriculum prepares individuals from all backgrounds for NABCEP Certification. Posted on Mon, 2019-01-28 17:07. Posted on Tue, 2019-01-29 11:57. Hi Bobby, thanks for your question. Our courses are aligned with the internationally-recognized solar workforce standards created by the North American Board of Certified Energy Practitioners. NABCEP, for short, offers a series of voluntary solar certifications that allow individuals to show their understanding and proficiency with solar job skills and accepted best practices. When you complete our solar training, you will be able to perform the essential duties of a solar installation contractor. Please note that there is a difference between licensing and certification. Generally, licensing is mandated by the state (and qualifications/requirements vary state to state). Certification, on the other hand, is voluntary and offers you the opportunity to stand out from competitors by achieving a marketable designation. Florida indeed has requirements to get licensed in solar. You will need 4 years of experience, which may include both installation and education, and at least 1 year of experience in a supervisory role to qualify for the solar contractor license. You will need to pass a solar trade exam as well as a business/financial management exam. For more information, you will want to contact the Florida Legislature and the Construction Industry Licensing Board. Posted on Sun, 2019-04-14 16:53. So do you offer the courses required by the State of Florida to become a licensed solar installer or no? Your answers are very vague... A simple yes or no would be best. Posted on Mon, 2019-04-15 10:03. Our solar courses were not designed to be Florida Solar License preparation classes. Our courses cover fundamental solar energy principles that will be helpful for your licensure preparation, but they were not specifically designed for that goal. If you have any other questions about solar certification vs. licensure, please give us a call at 877-959-3806. Posted on Sat, 2018-06-30 05:31. Posted on Mon, 2018-07-02 13:13. I just saw your other message regarding your training grant; we are happy for you and your colleague to attend our training, however the total duration of the training is approximately 84 hours (with the live portion of the training being two 8-hour days, not 4 months). Would you still be open to attending? If so, we would just need the full name and email address for each student and I can go ahead and create your registrations and send you an invoice to submit for the grant funding. Do you know if the grant funding would pay for the training in advance? Let me know when you can! Hello Bhagat and thank you for question. 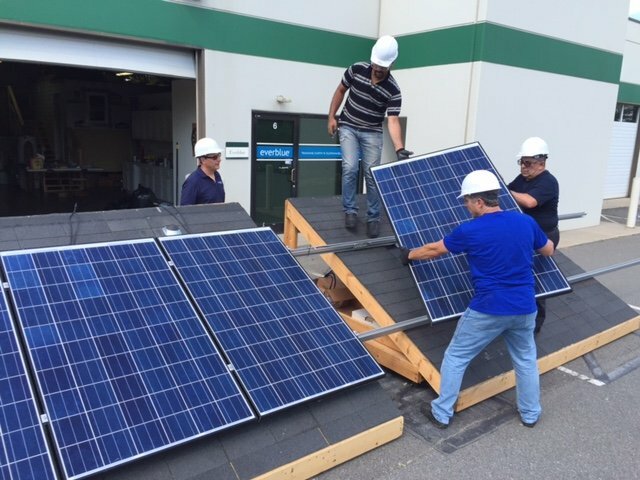 Everblue's NABCEP PV Installation Professional program will be a great training package for you as it allows for some flexibility with scheduling. You can take the training completely online at your own pace or in a blended format (where the majority of the training is online, only the solar PV installation training is in-person and hands-on in a location near you). Are there classes offer in Knoxville, TN? As of this posting we do not offer solar training in Tennesse, so I would suggest all online, anytime format of the training. Also if you have a group of students interested in training, we can offer in-house training at your location. As of this posting, we do not having solar training in NYC. Our closest location to you will probably be Ithaca, NY. We also offer this training completely online so you can access it from the convenience of your home computer! If you'd rather attend in-person training, please check back on our site for additional course locations that may be added. I am interested in Solar business to own my own company overseas and would like to be trained on system design, installation and troubleshooting. Do you offer classes in Maryland or DC? Is this class good for someone who wants to enter the solar business? At the time of this posting, we do not offer an in-person training session in DC/Baltimore. However, we have an amazing online program that you begin accessing today! Our solar training courses are designed to teach newcomers and solar professionals alike. 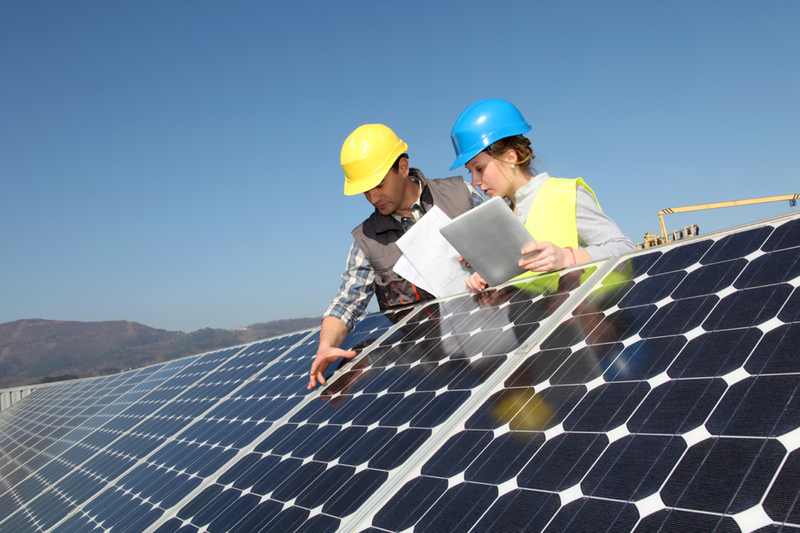 We're confident that we'll be able to help you navigate the solar workforce. We have also emailed you more detailed information on our training. Hello, Do you offer anything in Redding, Ca? We do offer our solar training courses in a live, in-person format as well as an online anytime format. To view our live training locations, please visit our Locations page and find the training nearest you! Do you offer course training in Chicago,IL? Yes, we offer training in Chicago, including solar training! To view the course schedule, visit our Solar Training in Chicago page. The Solar PV Contractor Series course is not offered in Houston, TX. Will it be available in the city of Houston in the future? We have re-branded the Solar Contractor Series program to the NABCEP PV Installation Professional Exam Prep. 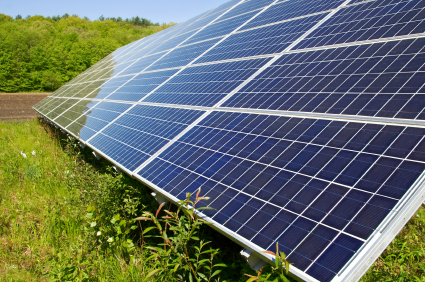 In addition to preparing you for a career as a solar contractor, this program will also help you to qualify for a solar panel installation certification from the North American Board of Certified Energy Practitioners (NABCEP). And this program is available in Houston as well as completely online. We look forward to training you soon! Thank you for your question. Everblue does not assist in job placement, but should you get financial assistance from your local workforce agency, part of their funding process includes assistance in job placement. If you would like more information on WIA, please call us at 800 460 2575. Will the state pay for my school? I am unemployed and I want to get into solar. I have a general contractor's license. Can I get the state to pay for me? Everblue works with a program called the Workforce Investment Act that can provide unemployed individuals the funding they need to attend our classes. It's offered on a state by state basis. Please contact our office at 1-800-460-2575 if you would like more information on the program. Do you offer NABCEP Entry Level exam prep courses in Ontario for those interested in launching careers in renewable energy? I would like to learn how your solar energy classes can help my job search. Our NABCEP PV Associate Training is actually completely online so you can access the training from home! Participants can instant access to course materials upon registration. This NABCEP PV Associate training program will qualify you for the NABCEP PV Associate Exam (formerly called NABCEP Entry Level Exam).